Lights in room didn't work. Internet wasn't strong. Carpets were stained. Cable was in and out. Room smelled of cigarettes. Run down and needs renovations. Very unhappy with the experience. Filthy. Old. No special extras. No hairdryers. No coffe machines. No hair conditioner. Had only two towels in the room. Pool was too cold to swim in and room was too hot to sleep in. Couldnt wait to go home. There was coffee in the lobby but there were no cups. Room was damp and smelled. Heard doors slamming all night long. Bathroom was dirty and there was rust on everything. Save your money and sleep in your car. You’ll get better sleep. The lobby and room were clean. That's about it. The handle on the door would only work sometimes. We stayed in January where it was pretty cold and the room heater didn't work. Not too much of a concern for most of the year in NOLA but it was pretty annoying. The biggest concern is that there was only warm or hot water in the morning. Probably because their water tank only held a small amount therefore if you weren't one of the first to shower in the whole hotel, you'd be trying to shower in cold water. Oh and there's a night club next door on the north side of the building. You get what you pay for I guess. The room didn't have a telephone. I was also disappointed at their insistence that check-in was at 3:00 p.m. and that no one would be allowed to check in before then. Staff was very nice and accommodating. This was on my list of hotels to stay in bc I try to do different ones whenever I come. It's being updated. Great location, easy access and close to freeway. Lovely pool area in a courtyard setting. No hot water. Under construction in lobby while rooms are pathetic. Close to where I needed to go and the staff was the best thing about this hotel. Water not really hot and outlets were not working. Unable to charge my phone. Hotel needs to be cleaned and renovated. Anthony at the front desk was excellent though. Worst hotel I ever stay at! The rooms wasn’t stock with towels iron! No phone microwave! Very noise! Not good customer service! Totally a great disappointment! Terrible very noise! No telephone in room! A room for four only two sets of towels. Had to try to find the laundry worker to get more towels! No iron or ironing board! Terrible lighting! We had our worst hotel experience. The room was so smelly that make us almost puke. Really unhealthy conditions. We asked for another room and staff was super rude. Manager by the phone was extremely rude as well. After more than 40 minutes complaining we ended up sleeping four people in a king bed in another room, fortunately not a smelly one. Not recommended. Go away and find another place to stay. We booked this hotel and a flight package with orbitz and found out a friend had stayed here the previous year. He said it rained during his stay... IN HIS ROOM! There was a bucket in the room to catch the rain. We then read the reviews online that were not supplied by Orbitz AFTER booking (our mistake)... needless to say we never even went to the Midtown Hotel. We booked another hotel in New Orleans near the convention center and had an enjoyable stay there! Midtown wouldn't refund our money so we are chalking this one up to life experience. Room smelled of mildew, pool was green and nasty, one towel in a room for three people, several rooms looked like an abandoned building for homeless. Staff constantly asked to see my license. Just a horrible place. AC wasn't working. They have me another room and same thing. Bought myself a fan at the store so that I can use since a refund of hotel reservations wasn't an option. Located in Mid-City within a short walk of Xavier University of New Orleans, Midtown Hotel - Downtown New Orleans is within 2 miles (3 km) of other popular sights such as New Orleans Museum of Art. This 102-room hotel welcomes guests with conveniences like free in-room WiFi, free self parking, and a seasonal outdoor pool. 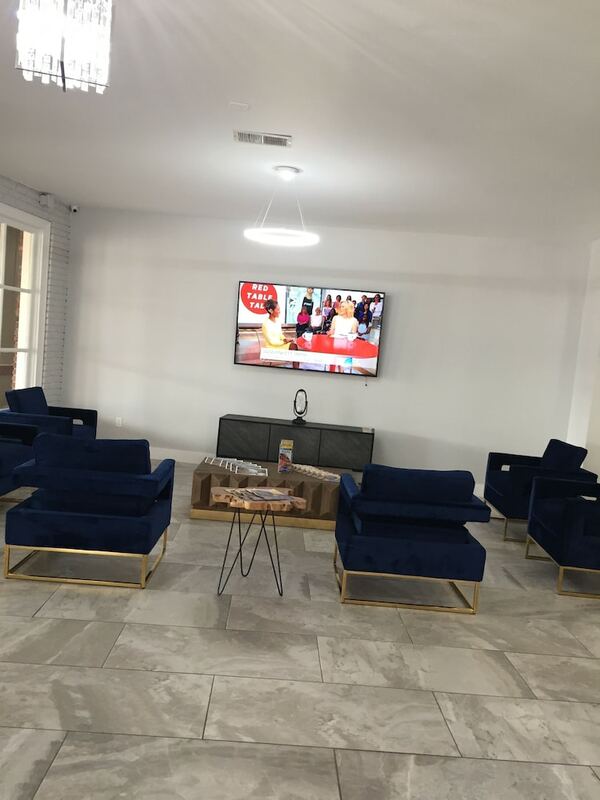 Guests can enjoy cable TV and stay connected with free WiFi. Beds sport premium bedding and the bathroom offers free toiletries. At Midtown Hotel - Downtown New Orleans, guests have access to free WiFi in public areas, a seasonal outdoor pool, and express check-in. If you plan to drive, free parking is available. The front desk is staffed 24 hours a day to help with concierge services and luggage storage. Additional amenities include express check-out, an ATM, and a TV in a common area. Recreation features at Midtown Hotel - Downtown New Orleans include a seasonal outdoor pool. The preferred airport is New Orleans, LA (MSY-Louis Armstrong New Orleans Intl. ): 15-min drive, 10 mi/16.1 km.